This image depicts Port Royal, Jamaica, as it appeared before an earthquake devastated the port town (and pirate haven) in 1692. The illustration is from John Masefield’s book, On the Spanish Main, online via Project Gutenberg. Click on the image for a better view. 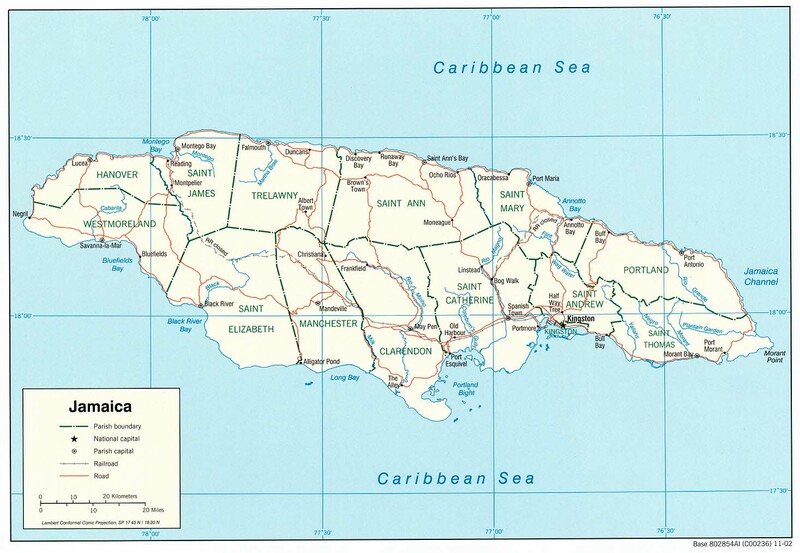 Jamaica, situated just south of Cuba, fell to the British Royal Navy on May 10, 1655. With its central Caribbean location, the harbor at Port Royal (located near today’s city of Kingston) gave the English an excellent vantage point from which to attack the Spanish fleet. In fact, between 1655 and 1692, Port Royal became the Caribbean’s main buccaneering base. Contemporary sources describe it as a city filled with taverns, brothels and gambling dens. From its sheltered waters, buccaneers departed for raids on Spanish ships and Spanish towns. It is estimated that hundreds of Spanish treasure ships were plundered during Port Royal’s heyday. Henry Morgan was one of the most famous privateers who sailed in and out of Port Royal. The English government (scroll down 50%) had given him authority (through a "Letter of Marque") to plunder whatever he could find. (Letters of Marque had been granted by English monarchs long before the 17th century.) Spanish ships were high on Morgan’s plunder list. Only the Governor of the city would admit or crave no mercy; but rather killed many of the Pirates with his own hands, and not a few of his own soldiers, because they did not stand to their arms. And although the Pirates asked him if he would have quarter, yet he constantly answered: By no means: I had rather die as a valiant soldier than be hanged as a coward. They endeavoured, as much as they could, to take him prisoner. But he defended himself so obstinately that they were forced to kill him; notwithstanding all the cries and tears of his own wife and daughter, who begged of him upon their knees he would demand quarter and save his life. After imposing fifteen days of terror on the citizens of Porto Bello, Morgan and his pirates filled their ships with "booty" and sailed to Cuba. Among other treasures, they had stolen 250,000 "pieces of eight." With more than enough riches, Morgan bought land in Jamaica where he was hailed as a hero for his success at Portobello. Before long, he was back at sea, with thousands of men who'd rallied around his banner. He attacked Maracaibo (in today's Venezuela) during 1669 and Panama in 1671. In the "golden age" of piracy, however, the worst disasters were not man-made as the citizens of Port Royal were about to find out. Bos, Carole "SPANISH PORTS FALL" AwesomeStories.com. Jul 01, 2003. Apr 23, 2019.